In cases like this, what a woman really requires are two things: a healthy amount of self-respect and a set of "player-proof" dating rules that will allow her to make wise dating decisions as she navigates the treacherous territory of finding Mr. Right. The most powerful form of male seduction that can KEEP a woman helplessly "addicted" to chasing a man. How to rebuff undesirable male behavior and get the guy you want to either take you seriously or take a HIKE! A simple ego-popping phrase that burns into a man's memory, keeps you STUCK on his mind, and makes him DESPERATE to see you again. Where does Never Chase Men Again rank among all the audiobooks you’ve listened to so far? This book picks up where Steve Harvey's "Straight Talk, No Chaser" leaves off. I needed to know how to properly convey my confidence, standards and boundaries without being too nice or too abrupt. I've found my instruction manual for a happy medium. Essentially, it challenges a woman to evaluate herself and actions, then tells you why you should stop doing what hasn't been working, AGAIN. What was one of the most memorable moments of Never Chase Men Again? I loved the introduction- Addressing confidence and high value early on set the stage for the entire book. LOVE Dans Voice, Its clear and flows like a conversation or speech, not like he's reading. First I want to date the author for this book, because whenever another man who is solely a friend helps me out by giving me this information, I can never get past always losing him as just only a friend, because they always & I mean ALWAYS persist with being much more than just my friend. They always go from friend to ex-friend with resentment becuase they want to go to Boyfriend in a relationship with me, but can't. So you can see how important and how essential a book like this one is to me. I am really very very grateful for this author & his book. I look forward to listening to many more of his books. I also agree with everything in this book. It's a great book every woman should listen to from beginning to end. After listening to this book while cooking & doing anything etc. women will indeed NOT only date and secure a man as a fiance' in a much much better way, before they can do that thet can also dump guys unworthy of them withOUT emotional hurt, regret, & disappointment. This book should be on everyone's list as a number 1 best seller. Again thank you to the aurthor And also God Bless him and his wife. I hope that they have a great marriage that grows wonderfully for all of eternity! This book provides great knowledge about the pitfalls of dating for women. I would advise reading this book after a break up so you don't have to go through these woes. The harsh truth from an unbiased opinion. I figured out alot of things I have done wrong with men in my life. I saw that I AM a 100% responsible for why I am single. 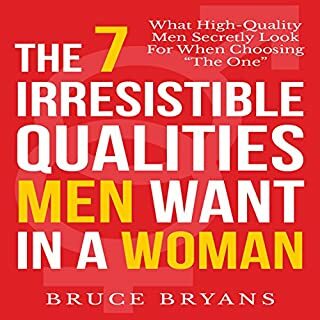 This book was like talking to a brother or trusted friend about what women can do to attract and maintain a quality relationship. It was a quick read and easy to understand. This book gave me real insight as to why my relationships have gone wrong. I recommend that every woman listen to this book. Great tidbits of information on how men think & how to safe guard yourself against dead end relationships ! This is for all Ladies dating men! Very informative! I let my teen daughter listen to it so she can better navigate the her way into dating. I loved the "secrets" and they all make complete sense. I just wish there was actual examples or factual instances that make it easier to implement the authors advice. 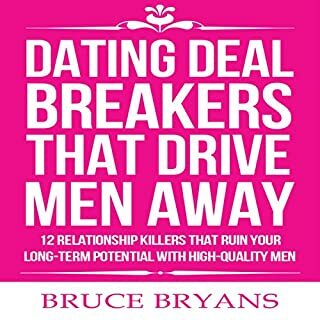 The book has a lot of advice and clear statements on what outlook to have on the dating arena but I felt it's short on ideas on how to put these tips into action. For starters this book isn't for sensitive people, very no non-sense and to the point which I love.Seriously everything we were told about men is so wrong it's amazing! I love that it's written by a man because who would know men better than a man. 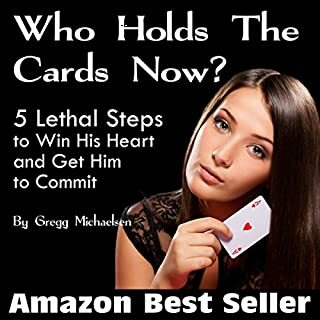 This book helps you to be a better woman and to make better dating decisions and stops all the confusion. I'd literally recommend this to every woman. If you're wondering which dating book you should get this one is absolutely the #1 book you should have. 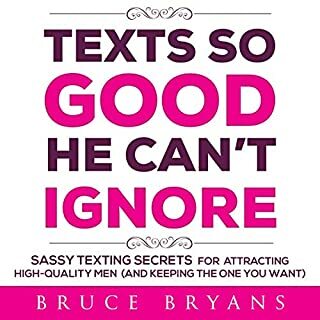 I brought this book to get a better insight into dating, and hopefully not to fall into the trap of stringing along men with no hope, especially after recently entering the dating game. Funny thing is; I have heard some of these items before. I have just finished reading Steve Harvey's book; Act Like a Lady; Think Like a Man and Straight Talk, No Chaser and it just seems like a carbon copy of those books to be honest. Maybe if I had not read those books first, this might be a good source of reference, but I don't know. 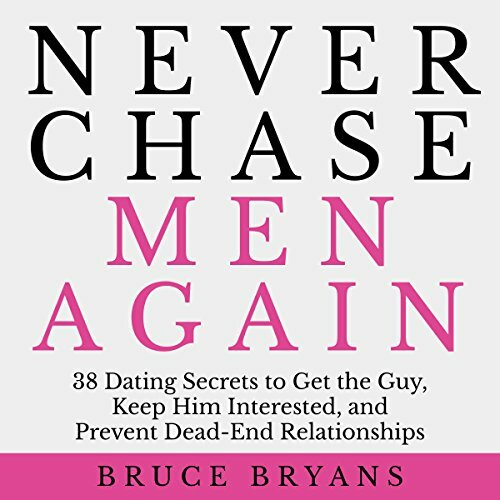 I wasn't too bothered because it didn't take too long to get through this book, and it didn't seem like a waste of my time; however, I would only recommend this book to those who want a straight to the point list of things to do or not to do when dating, but don't waste your time if you have read Steve Harvey's books. The only two other thing to mention is that (1) the narrative voice is a bit annoying, but I got used to it by the end of the book. 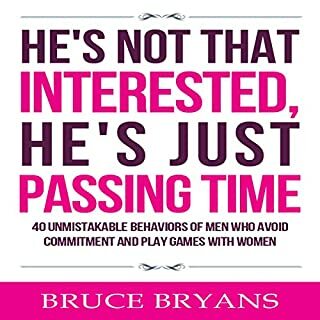 And (2) I wouldn't buy any other of Bruce Bryan's books purely because it just seems too much of a money making excersize of mentioning all his other books along the way and of course; those other books are areas that people are interested in that hasn't been covered in this book. Other than what I mentioned above; it's an okay book for a first and easy point of reference. Good points for dating. I liked the audio book but I didn't like the man narrating it. A book worth to be listened to, not only once but many many many times. These are advices a father gives to his little girl so she goes out in the world better prepared and equipped to weed out the crap guys that inevitably cross our way. where have u been!! the best part of 8 years! This is a no nonsense guide to valuing and honouring yourself as a high quality (not high maintenance!!) woman... an absolute bargain! should have read this ages ago!! fantastic book. simple and to the point. learnt so much and will take forward highly recommend. Makes you understand were you've gone wrong! If you find dating guys is a struggle and a nightmare!! wasting your valuable time then definitely read/download essential learning.... to avoid any unnecessary time wasters! This guy is an idiot. Blaming women for men’s misgivings. Depicting women as desperate and stupid. Honest and straight to the point! What a great book! Great advice! Outlining straightforward points without too much waffle in between each point. Highly recommend! this book got good points to consider in relationships and personal development. i heard some tips in other books byt some were new. its an easy read and to the point. 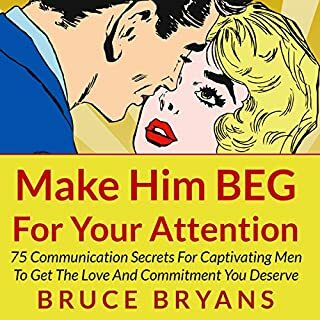 I found this book verying interesting in helping you build boundaries and giving more of a range of Ideas and suggestions in what you want in a Relationship. An eye opener for sure! Goodness me! A lot of tears were shed through listening to this book. Great, but tragic insight into the mind of men...what a fascinating and highly frustrating place. Although some of the points feel quite patronising and difficult to swallow..the fact remains that men and women come from very different planets! Thank you for such insights into everything I have been doing wrong for over 30 years (hence I am single...again). Tomorrow is a new day with a new attitude because of this book....wish me luck! Another great one, this time from a mans perspective on what drives high quality men away and how to be confident with boundaries to attract the high quality, no game players in life with same relationship goals. Loved the part when he mentioned the five love languages! Another favourite I think all singles and couples should read!!! If your goal is marraige , this is sound advice. It clearly addresses achieving a high value status, and then keeping that status inside your key relationship. This is where other books often fall down. It truly explains how men consider the value of their most significant other. The book is brutally honest and to the point. I highly recommended it to anyone wanting dating advice.